Upgraded electronics, impressive style, and literally a signature model. 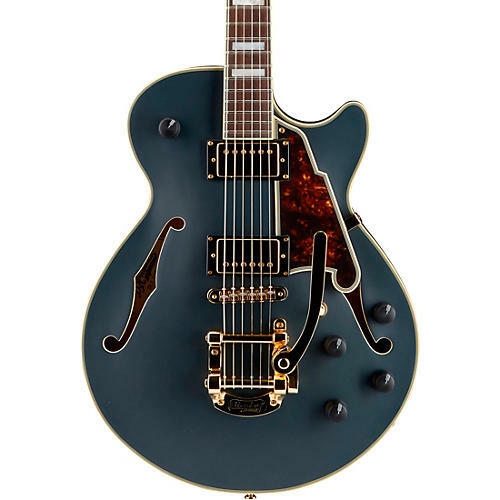 Co-designed with guitar legend Bob Weir, the Bob Weir Deluxe SS is an innovative masterwork. Available only in the all-new Stone custom finish, it features a gold Bigsby B-50 tremolo system, push/pull tone knobs for coil tapping, a full centerblock for maximum sustain and a master volume knob for total control, with Weir's signature engraved on the truss rod cover. A limited run of 35 hand-signed models is available for ultimate collectors, with a portion of the proceeds being donated to HeadCount, a democracy-in-action charity Weir works closely with. Grab a signature guitar with a peerless pedigree. Order today.